Holiday gifts for your personal chef or cook. 1. "Real" cooks rarely admit to using a microwave oven, and I don't know any who don't own one. But I use mine for reheating leftovers—and, inevitably, some of those leftovers wind up splattered on the walls of the microwave when I'm nuking them. That's when I turn to my Angry-Mama. 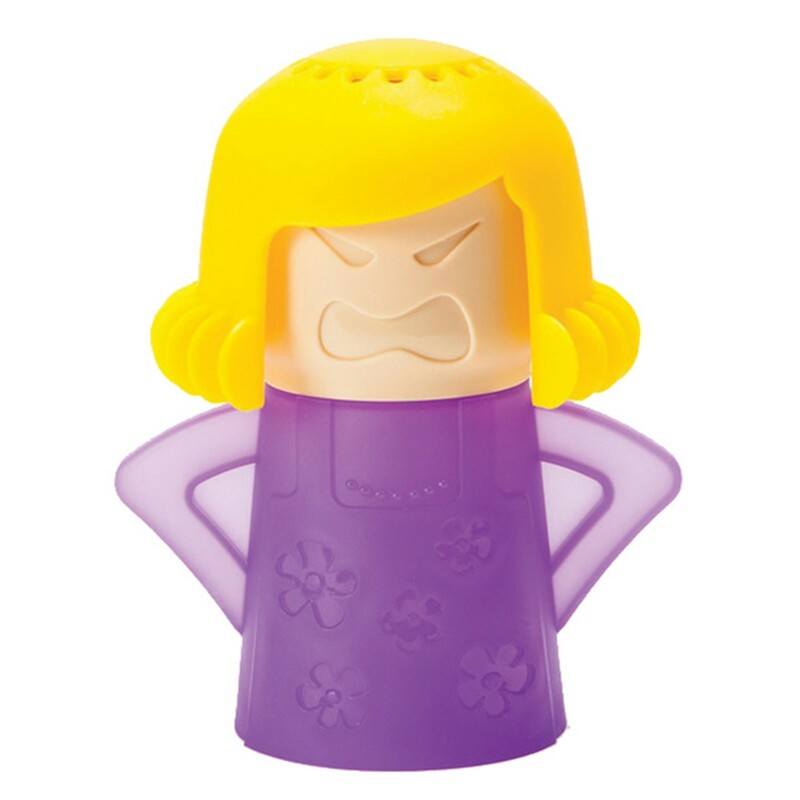 NewMetro Design's Angry-Mama Microwave Cleaner1 ($14.99) is simple, but ingenious. It's a small, plastic device—made to look like a retro mom—that steam-cleans the crud from your microwave with water and vinegar in seven minutes. Don't get mad at your microwave; get even. 2. No cook can get very far in the kitchen without at least a couple of high-quality knives. And—although I have a large selection of kitchen knives, ranging from bread and sushi knives to cleavers—the knives I turn to for 95 percent of my chopping, mincing, slicing, dicing and cutting are a chef's knife and a paring knife. That makes the Wüsthof Classic Ikon Two-Piece Extra Wide Chef's Set2 ($199) a great gift. I use the paring knife for mincing, peeling and slicing small objects like garlic cloves and shallots, while the chef's knife has an extra broad blade handle for stability and precision. I couldn't cook without them. 3. When I lived in Spain, I remember enjoying seafood dishes in restaurants served in a cataplana. It wasn't until later that I discovered cataplanas are a type of cookware most popular in Portugal, where they originated. A cataplana is traditionally made of copper, and it's probably no coincidence that it's clam-shaped, since it's perfect for steaming clams, mussels and other shellfish. The vessel serves both as cookware and as tableware; it can go from the stove or oven straight to the table, and provides an interesting and attractive looking serving pan. Sur la Table3 sells cataplanas in two sizes: 8 1/4-inch and 12-inch, priced at $60 and $100, respectively. 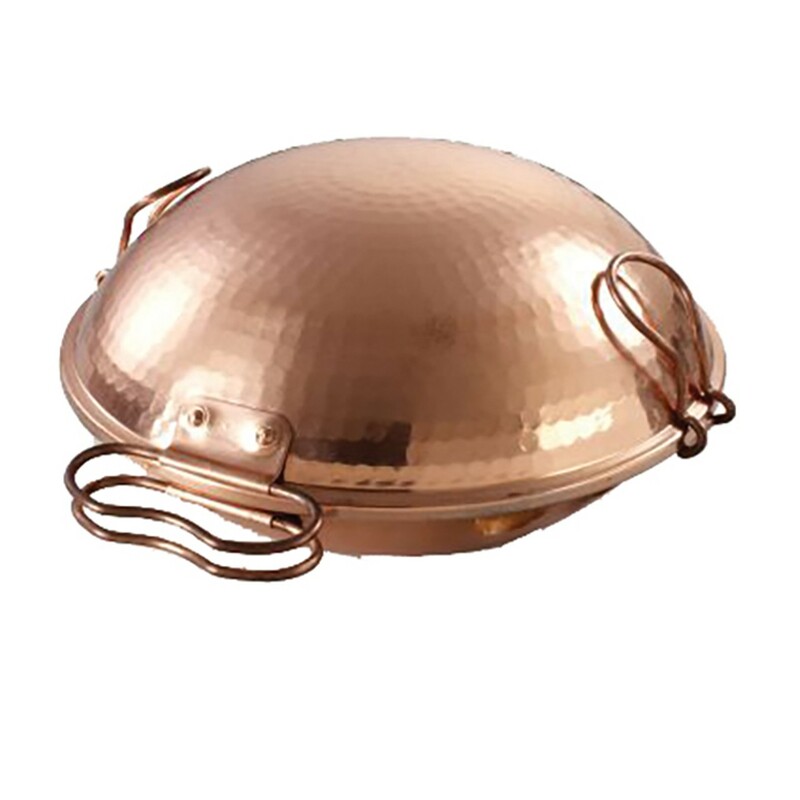 They're made in Portugal from hand-hammered copper, and can be used either in the oven or on the stovetop. 4. There's a chubby guy dressed like a chef who's been hanging around my kitchen lately. Nope, he's not a stalker, or a disgruntled cook whose restaurant I slammed. He's called "Claude," and he's a useful and good-looking kitchen companion. 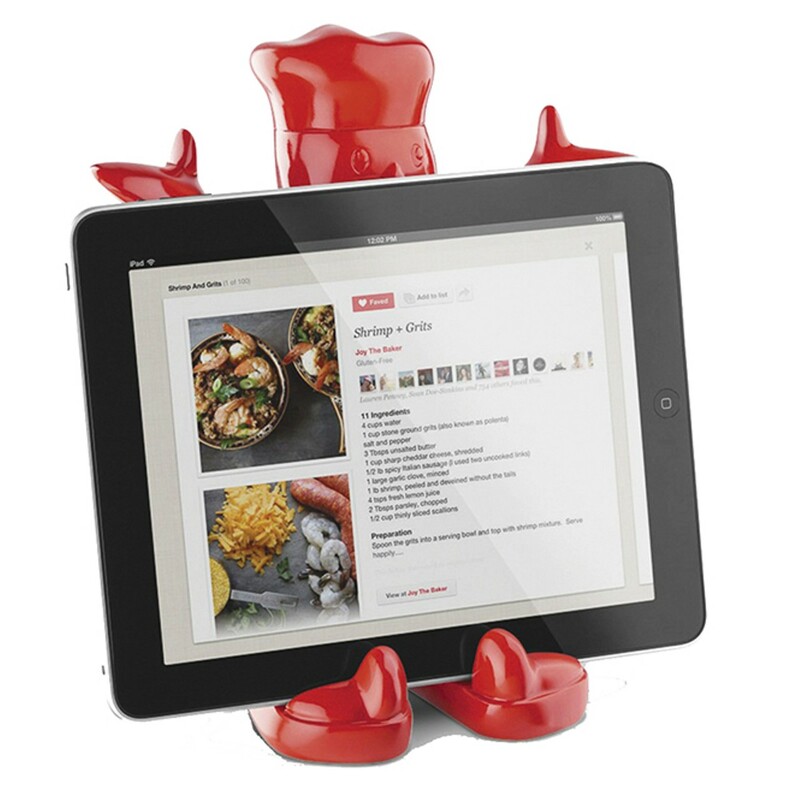 Australian cookware company Make My Day's Claude4 ($35) is sculpted to look like a classic toque-wearing chef and designed to prop up or hold cookbooks, iPads and other tablets. I find him extremely useful as I increasingly use my tablet, rather than cookbooks, in the kitchen to look up recipes. Of course, you don't have to use Claude in such a functional manner. You could just have him hold onto your tablet while you watch Iron Chef or Duck Dynasty as you're prepping your evening meal. 5. Another indispensible weapon in any kitchen arsenal is a fast and accurate cooking thermometer. In my opinion—and that of many professional chefs—one of the best on the market is the Classic Thermapen ($79), made by Utah's own American Fork-based ThermoWorks (ThermoWorks.com). 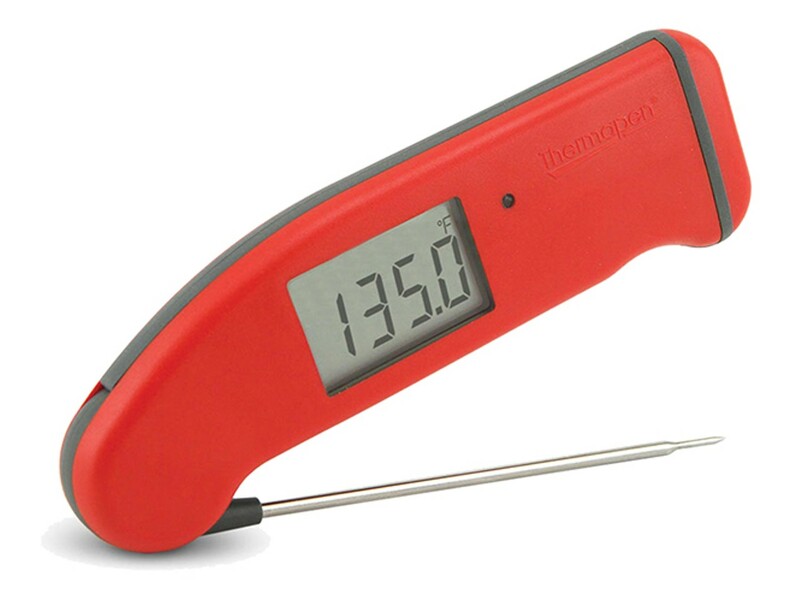 Each Thermapen is tested at the factory and guaranteed to be accurate within 0.7 degrees Fahrenheit. They are water-resistant, have a battery life of 1,500 hours and provide nearly instant, three-second readings. For an additional $20, the new Thermapen Mk45 ($99) offers a 3,000-hour battery life, auto-rotating display, intelligent backlight, motion-sensing sleep and wake mode, and it comes in 10 colors. 6. My son, Hank, has always loved sushi, but wasn't too proficient with chopsticks when he was younger. The solution is a terrific stocking stuffer called Chimpsticks6 ($6.99) made by Fred & Friends. These are washable silicone chopsticks, attached at the top with a hinged rubber chimp, making it simple for little ones (and adults, too) to snag sushi. 7. I love the slow, moist cooking technique called braising, and by far the best braiser I've ever owned is the Anolon Vesta Cast Iron 5-Quart Covered Braiser7 ($129.99). The good looks of the Anolon braiser make it a perfect candidate for stove-or-oven-to-table use. It's got a stain-resistant matte black enamel interior that makes for easy searing and browning. 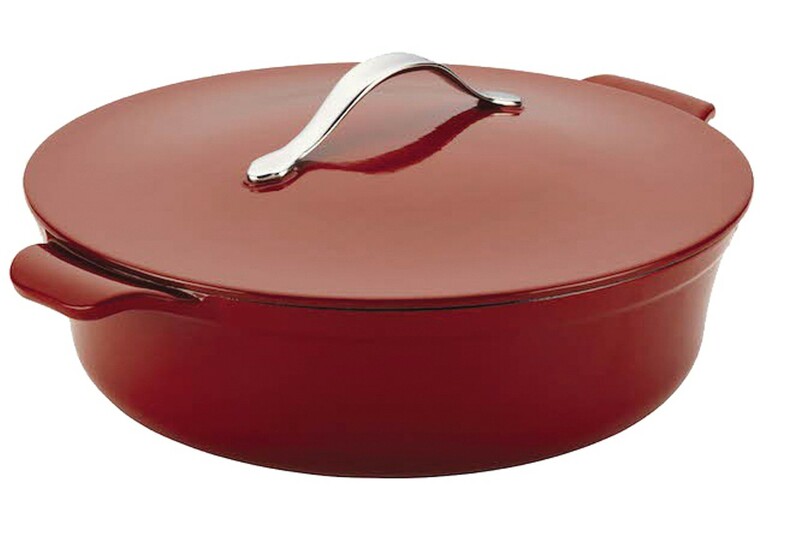 The braiser also features an attractive and sturdy porcelain enamel exterior, and its self-basting lid sports an elegant stainless-steel handle. It's broiler-safe and perfect for everything from coq au vin and beef daube to Moroccan tagine dishes and even Southern-style date-and-pecan pudding. The Anolon braiser also includes a limited lifetime warranty. But maybe the best gift for the cook in your life is to get him/her out of the kitchen—perhaps for a New Year's Eve bash or for Christmas dinner. Zucca (225 25th St., Ogden, 801-475-7077, MyZucca.com) is offering both dinner on Christmas Eve and a 7-course gourmet celebration dinner and party on New Year's Eve, while Spencer's (255 S. West Temple, Salt Lake City, 801-238-4748, SpencersForSteaksAndChops.com) will be open both Christmas Eve and Christmas Day for lunch and dinner featuring a prix fixe chef's prime rib special (16-ounce for $63; 22-ounce for $76). Maybe the best New Year's Eve dining bargain will be at Boulevard Bistro (1414 S. Foothill Drive, Salt Lake City, 801-953-1270, BoulevardBistroFoothill.com), where a four-course New Year's Eve dinner will be offered for $50 per person. The dinner includes roasted garlic and goat cheese croquettes; baby spinach salad with berries, blue cheese, caramelized shallots and balsamic vinaigrette; an entree choice of filet mignon with herb-roasted potatoes or cashew-crusted halibut over basil-infused couscous with mango-pineapple chutney; and dessert of spiced cake with cream cheese frosting. Give the gift of cookbooks, kitchen gadgets, culinary classes and more. Learn to cook (and think) like a pro. Some fun and fascinating culinary companions for reading enthusiasts.